Situated in Deschutes National Forest, Sheep Bridge Campground offers visitors stunning scenery in Oregon’s eastern Cascade region and easy access to an abundance of recreational activities. Sheep Bridge Campground has 23 large, isolated sites that accommodate both tent and RV camping; however, hookups are not available. Many people choose this campground because the sites are huge and are great for a large family outing, plus picnic areas, drinking water and vault toilets give visitors the opportunity to enjoy the outdoors comfortably, There is a boat ramp for river access at the campground. 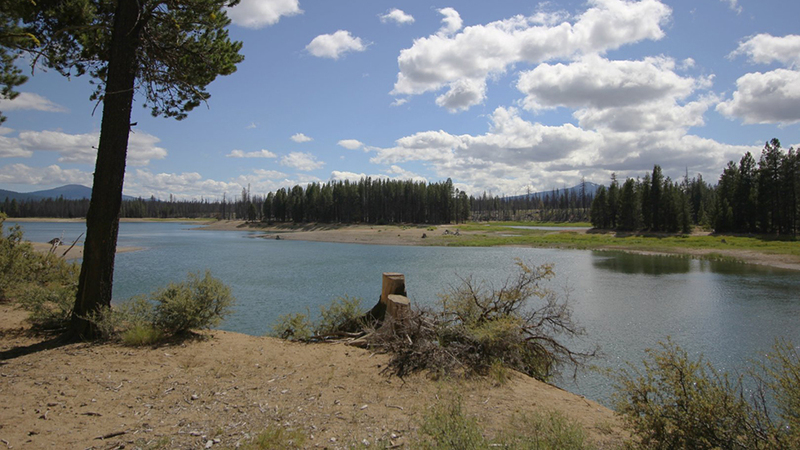 Located on the banks of the Deschutes River and in close proximity to several wilderness areas, this campground offers a quiet and serene outdoor experience, with many campsites enjoying views of the river. For this reason, this is a popular campground for anglers, with rainbow trout, whitefish, bull trout and kokanee salmon just waiting for your line. The fee is $12 per night for each site.